As voice-enabled platforms like Alexa, Google Home and Watson become more viable advertising environments, agencies are becoming experts in voice technology to ensure they offer clients the right solutions. Here’s how some agencies are experimenting with voice interfaces. R/GA quickly realized its Amazon Alexa skill for people to internally book meeting rooms took too long — up to three minutes — to run through eight different questions, like what time, which room and number of people. In this instance, booking via a screen was a much easier and quicker option. “It still can’t cope with the complexity of human language,” said Kaustav Bhattacharya, executive technology director for R/GA. “You almost need your own dialect to interact with [voice-activated devices].” The technology is quickly improving around merging multiple segments into one fluid sentence to counter this, however. In the last two weeks, the agency has used voice as a simplified access point into an intranet for a major multinational corporation. Employees in the corporation searching for new jobs internally can use voice to find relevant jobs, such as engineering positions available in Sydney. Voice is also used to apply for roles: Instead of applying via lengthy online forms, candidates share the top five things potential employers would want to know about them. R/GA is also developing a demo with finance startup Starling Bank that lets people make general queries about their bank details and spending patterns. We Are Social ran a daily skill through Amazon Alexa that delivered its top social media headline when asked, but it received feedback that the skill didn’t add much value. The following month, after a day of experimenting, the agency created The Defibberator on Google Home, which helped people understand what their partners want to receive on Valentine’s Day. More recently, the agency has linked voice platforms with outdoor advertising. Inspired by the notion that young people feel like they don’t have a voice in politics, project Listen Up integrated voice technology into a bus-shelter ad spot so people could ask questions related to politics. For instance, people could ask how university fees would be affected if the Conservatives retain power. The sound file was tweeted to Parliament members in the borough who could reply, and the shelter’s billboard displayed those tweets. For one day, VCCP replaced its reception staff with an Amazon Echo device preprogrammed with different personality traits like agreeableness, openness and neuroticism. Information cards were placed around the lobby so people knew how to interact with Alexa. That day, Alexa had 407 interactions and 38 misunderstandings, and it answered 104 questions. Interactions nearly doubled when Alexa’s personality was more agreeable. According to Adrian Gans, digital strategy, design and innovation for VCCP, every interaction had to be scripted in advance. 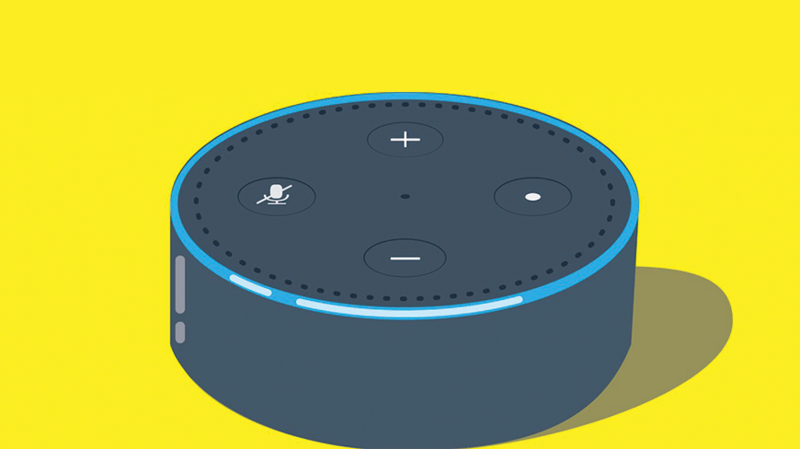 In the U.S., Isobar recently built an Alexa skill describing the agency, what services it offers, the location of its offices and recent case studies, which took the team of four two weeks. This test has become a template for client work, said Chad Vavra, experience strategy and design director at Isobar U.S. The agency had a few challenges along the way. For instance, the skill was later built on Google Home, and Google’s and Amazon’s text-to-voice engines pronounce “Isobar” differently. To overcome this, the agency ended up spelling the company name differently in the back end.